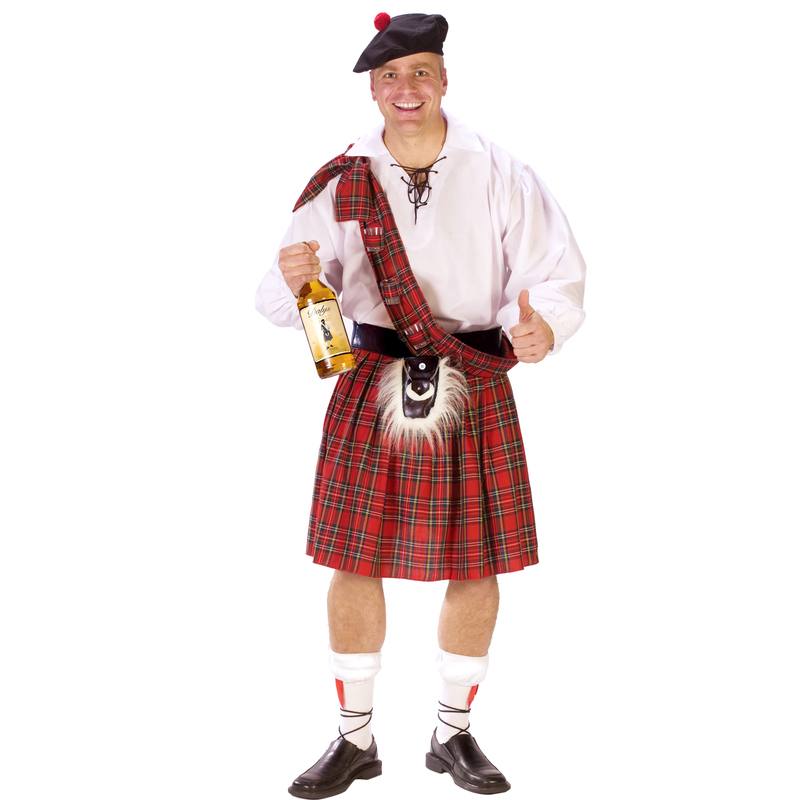 Includes: Shirt, kilt, shoulder scarf with four loops, four shot glasses, cap, belt with bottle holster and sock cuffs. Does not include liquor bottle or shoes. Care Instruction: Hand Wash Cold Water Separately, No Bleach, No Iron. 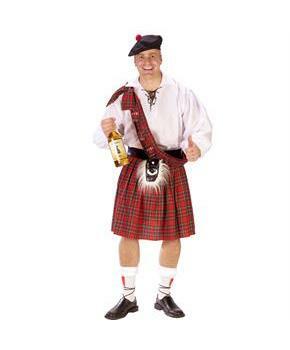 HAT, BELT,SPORRAN, SHOT GLASSES & FASHES: Wipe w/ Damp Cloth.